Kick off your visit on the 18th (Fri): awaken your taste buds at some of the top wineries in the area. Keep things going the next day: admire the natural beauty at The Cedars, then take in nature's colorful creations at Adelaide Botanic Garden, then get engrossed in the history at Migration Museum, and finally contemplate the long history of Adelaide Oval. To see reviews, more things to do, and other tourist information, you can read our Adelaide visit planner . London, UK to Adelaide is an approximately 25-hour flight. You can also do a combination of flight and bus. The time zone difference moving from Greenwich Mean Time (GMT) to Australian Central Standard Time (South Australia) (ACST) is 9 hours. Prepare for warmer weather when traveling from London in January: high temperatures in Adelaide hover around 34°C and lows are around 19°C. Wrap up your sightseeing on the 19th (Sat) early enough to travel to Melbourne. Melbourne is known for museums, parks, shopping, zoos & aquariums, and nightlife. 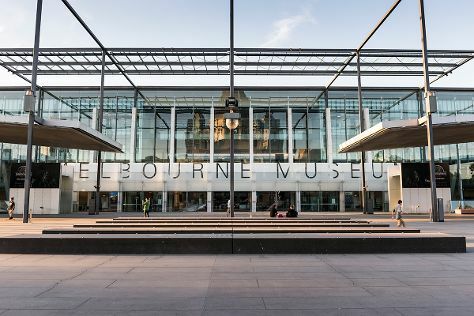 Your plan includes some of its best attractions: take in nature's colorful creations at Royal Botanic Gardens, tour the water at your own pace with Melbourne Boat Hire, don't miss a visit to Flinders Street Station, and see the interesting displays at Melbourne Museum. To see maps, more things to do, where to stay, and tourist information, use the Melbourne trip itinerary builder app . You can fly from Adelaide to Melbourne in 3.5 hours. Alternatively, you can drive; or take a train. January in Melbourne sees daily highs of 32°C and lows of 17°C at night. Wrap up your sightseeing on the 22nd (Tue) to allow time to travel to Sydney. Sydney is known for nightlife, trails, beaches, parks, and museums. 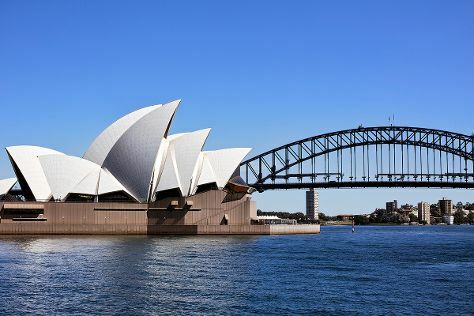 Your plan includes some of its best attractions: don't miss a visit to Sydney Opera House, stroll through Bondi Beach, hike along Bondi to Coogee Beach Coastal Walk, and wander the streets of Darling Harbour. Fly from Melbourne to Sydney in 3.5 hours. Alternatively, you can do a combination of shuttle and flight; or drive. Traveling from Melbourne in January, Sydney is a bit warmer at night with lows of 23°C. 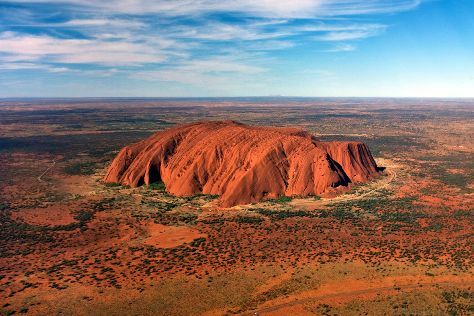 Finish your sightseeing early on the 26th (Sat) so you can travel to Uluru-Kata Tjuta National Park. Start off your visit on the 27th (Sun): hike along Kuniya Walk, contemplate the waterfront views at Mutitjulu Waterhole, then admire all the interesting features of Uluru, and finally stroll through Uluru Hiking Path. On the 28th (Mon), you'll have a packed day of sightseeing: get engrossed in the history at Uluru-Kata Tjuta Cultural Centre, then take in the exciting artwork at Walkatjara Art, then take in the awesome beauty at Kata Tjuta, and finally get outside with Walpa Gorge. Getting from Sydney to Uluru-Kata Tjuta National Park by flight takes about 5.5 hours. Other options: drive. Traveling from Sydney in January, you will find days in Uluru-Kata Tjuta National Park are a bit warmer (43°C), and nights are about the same (26°C). Wrap up your sightseeing on the 28th (Mon) early enough to travel to Port Douglas. Start off your visit on the 29th (Tue): get a new perspective on things with Boat Tours & Water Sports. For ratings, traveler tips, maps, and other tourist information, use the Port Douglas trip website . You can do a combination of flight and shuttle from Uluru-Kata Tjuta National Park to Port Douglas in 6 hours. Alternatively, you can drive. Expect a bit cooler weather when traveling from Uluru-Kata Tjuta National Park in January: highs in Port Douglas hover around 37°C, while lows dip to 28°C. Finish up your sightseeing early on the 29th (Tue) so you can go by car to Cairns. Kick off your visit on the 30th (Wed): see some colorful creatures with a scuba or snorkeling tour. Keep things going the next day: have fun at Esplanade Lagoon Pool, then take in the dramatic scenery at Josephine Falls, and then tour the pleasant surroundings at Esplanade Boardwalk. To find photos, traveler tips, maps, and more tourist information, use the Cairns route planner . You can drive from Port Douglas to Cairns in 1.5 hours. Alternatively, you can take a bus; or take a shuttle. In January, plan for daily highs up to 37°C, and evening lows to 28°C. On the 1st (Fri), you'll travel back home.